Elvis Presley loved Cadillacs, compulsively collecting hundreds of them during his lifetime, and what is believed to be the last Cadillac he drove before his death in 1977 is going under the hammer in Austria later this month, the auctioneers said today. The asking price for the King of Rock’s beige-coloured 1972 Cadillac de Ville Estate — which is being auctioned in Salzburg on October 20 — is 100,000-200,000 euros, Vienna’s Dorotheum auction house said. With around 112,000 kilometres on the clock, the car was the one Elvis used for his final road trip in December 1976, when he drove 1,500 miles from Las Vegas back to his home in Graceland, the Dorotheum said. The singer died just eight months later. 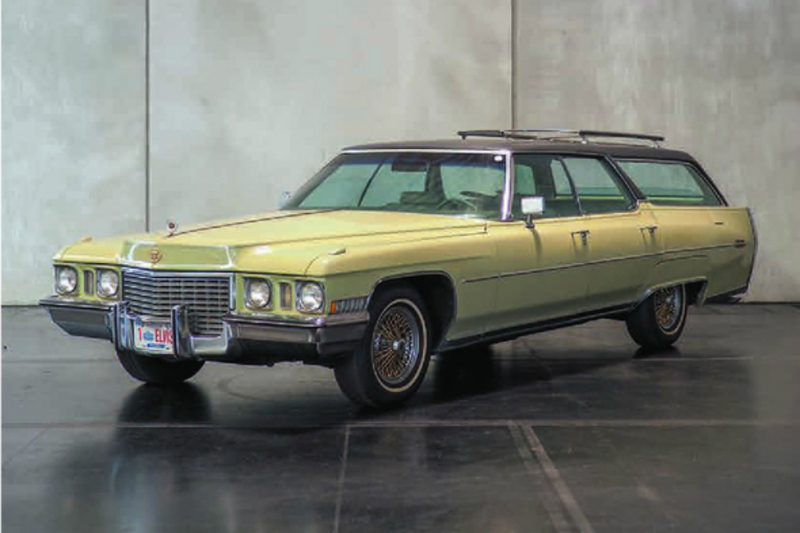 Originally built as a Deville sedan, it was converted to an estate car by the American Sunroof Company in 1972 and is only the second of its kind ever built. Equipped with air conditioning, leather upholstery and a radio with eight-track tape, it also has a number of gold-plated fittings, including the wheel spokes. Elvis originally intended the car as a gift to his manager, Colonel Parker. But he borrowed back himself so frequently that Parker gave it back to him, the auction house said.